From 13 to 26 September, to celebrate National Cheeseburger Day, you can get a Free Small Fries & Coke with a Cheeseburger purchase! 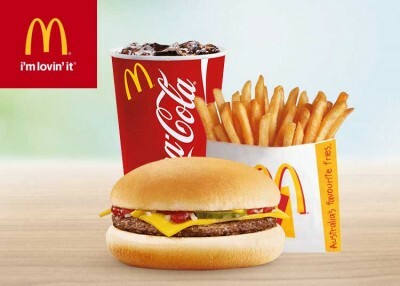 To get the Cheeseburger Golden Meal during the promotional period, simply open the app, look for Cheeseburger under the McClassics menu item and then click the Golden Meal. Pricing varies from store to store – but is approximately $2.90 to $3.40 – depending on the store. Unfortunately, some stores may not accept app ordering or participate in this promotion. Got the email today the 13th saying free golden meal but it isn’t showing in the app. I know my way around the app and have used golden meals in the past, so know it isn’t me. Anyone else having issues?